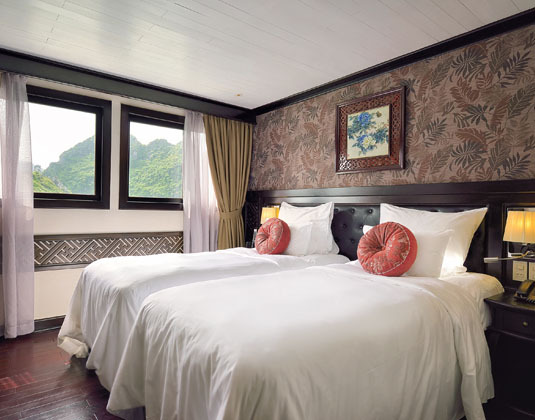 Day 1 Hanoi/Cong Do Island: Travel by road to Tuan Chau Island to board the Paradise Prestige. 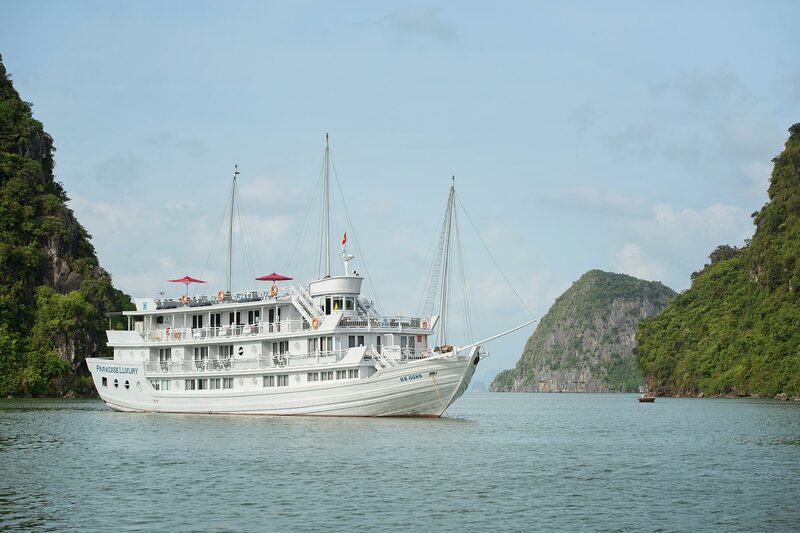 The ship sets sail after lunch and you have time to enjoy the scintillating scenery of Halong Bay and Bai Tu Long Bay. Perhaps visit the spa for a massage before a late afternoon stop at Thien Canh Son Cave. 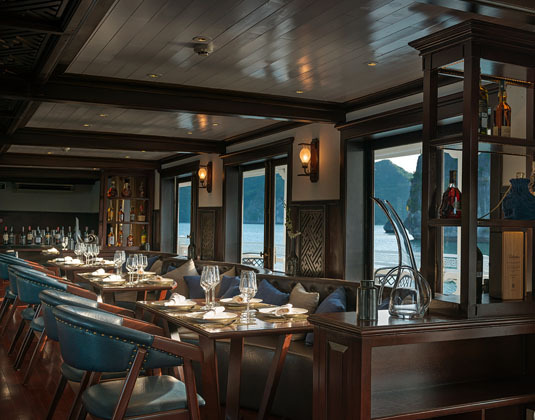 Return to the ship and enjoy cocktails on the sundeck as the ship anchors at Cong Do Island. Watch an authentic Vietnamese cooking demonstration before your a la carte dinner and then your choice of post-dinner activities, either squid fishing or enjoying a movie. 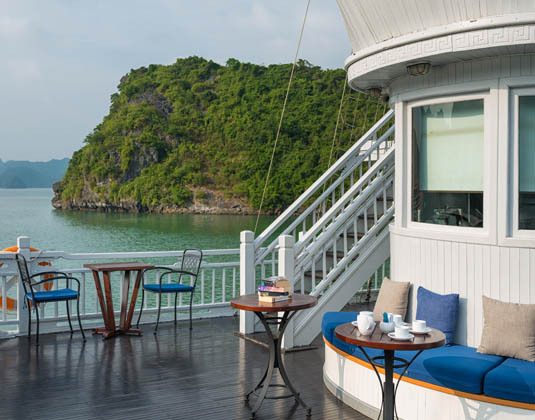 Day 2 Cong Do Island/Vung Vieng Village: Early risers can join a Tai Chi class on the sundeck which is a great way to start the day. After breakfast enjoy kayaking in the Cap La Island area and then swimming at Ban Chan Beach. After lunch on the ship, visit Vung Vieng Village by bamboo boat before returning to the ship for a further cookery demonstration. After a sumptuous dinner, you once again have the choice of watching a movie or trying your hand at squid fishing. 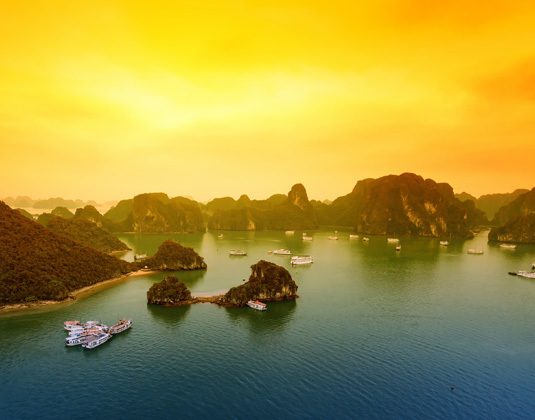 Day 3 Vung Vieng Village/Hanoi: Admire the stunning scenery of Halong Bay before you disembark mid-morning in Tuan Chau and transfer by road back to Hanoi. 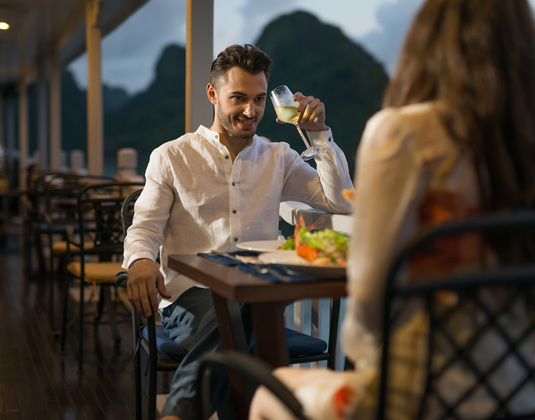 Meals: All inclusive which includes all meals; free-flow of drink (soft drinks, juices, local beer, water, tea, Vietnamese coffee, house wine (by glass) during lunch and dinner; pre-dinner drinks (5.30-6.30) - sparkling wine (by glass), house brand spirit, soft drinks & local beer. 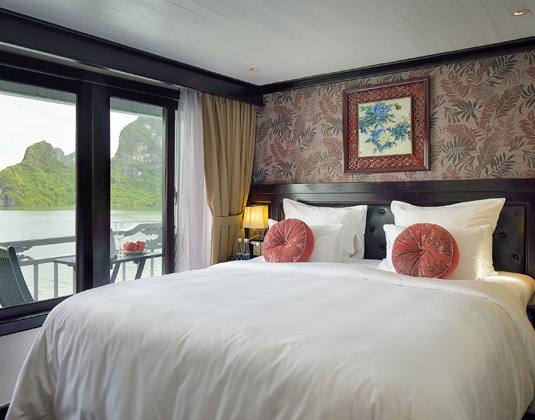 The ship: The recently refurbished Paradise Prestige is a wooden junk with 15 cabins,. All cabins offer a shower, air-conditioning, safe and most with balcony. 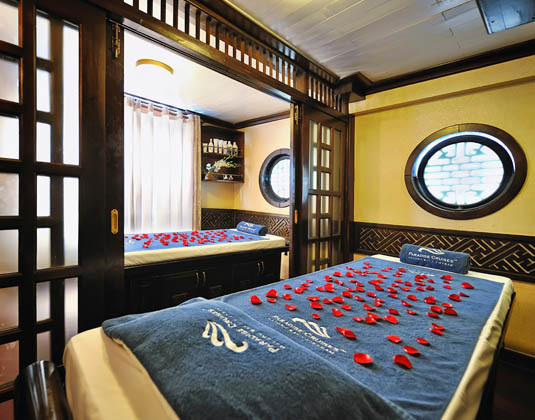 Features: restaurant *bar *sundeck *jacuzzi *spa room *cookery demo *Tai Chi session. 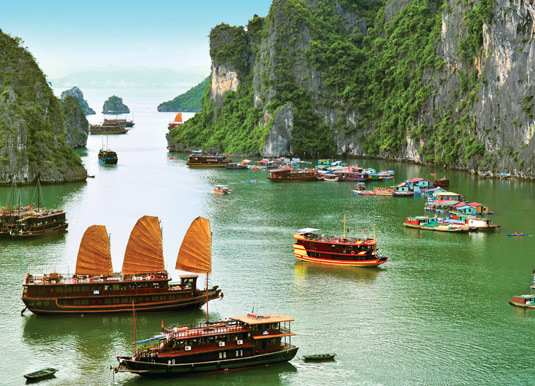 Tour price: The price shown is based on the best value travel dates in low season and includes private transfers from and to your Hanoi hotel, two nights in a deluxe cabin, sightseeing as outlined, 50 minute body massage per guest per night, and access to business lounge at Hanoi airport. 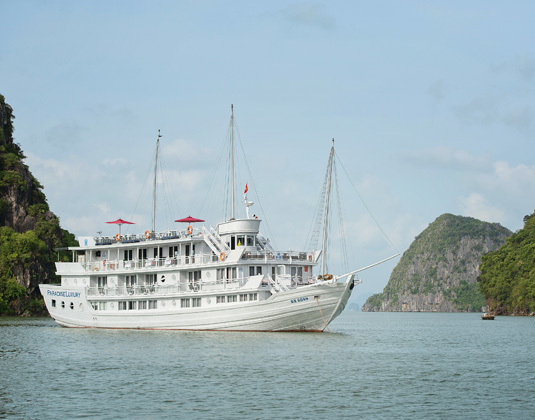 Cruise itineraries, excursions and schedules subject to change. Upgraded cabins and 1 night cruises also available.